At today’s celebration of the region of Sicily, we started our campaign in piazza Matteotti, the central square in Modica. Steve played the guitar and Laura was singing, and the music immediately brought a good atmosphere on the piazza. Even when not all people were confident about all the messages we brought with us, the central idea of the right to a decent income came across well with young people who told us they feel the need for income support to make the transition from education to work, and with older people who told us they can’t live of their low pensions. 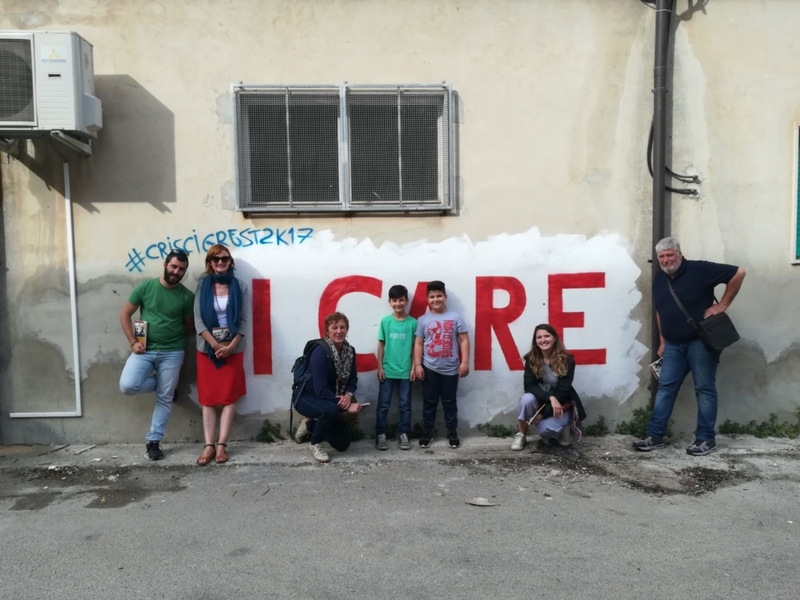 Even if these projects were about much more than the right to a decent income, we felt like we met real ‘soul mates’ here in Modica. We are grateful to have learnt much, but there was so much more still to discover! Quote of the day: “Se ogniuno fa qualcosa, alora possiamo fare molto” (if everybody does something, together we can do a lot).